Sometimes back pain can become unbearable and you might need an effective back massager with low pricing that you can handle yourself to relax your muscles instead of visiting the therapist. But with an increasing number of back massagers from different manufacturers being sold on Amazon, how will you be able to make the right choice that will meet the purpose you want it to serve. We have been able to select the best 10 for you. We are going to tell you how each works, each peculiar features, and the pros and the cons of each product. It’s specially designed to apply deep pressure in sore and tender muscles for relieving pain. Especially for back pains. 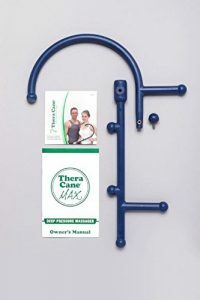 With the Thera Can Max, you can apply self-treatment for your aching muscles using the owner’s manual that comes with the product. The well-illustrated guide is packed in a DVD which makes learning easier whether you are a new user or an experienced user. The Thera Can Max helps to revive your body and spirit after a hard task or physical requirements. The Thera can max is indestructible, waterproof and it makes traveling easier. Locate a tender pressure point at any part of your body (usually the back) and pull forward/down. Press the little nodes to hit the sore spots, it’s like the size of your thumb, and it fits perfectly on a knot or in between the muscles. Then you either move your wrist just slightly or move your body slightly to let the node do its work. You can also place it on a sore muscle and then slide it up the muscle and because it was targeted, it seemed to work faster. After just 10 minutes, you will feel good as if you had a 90 min massage. 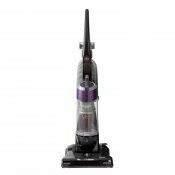 Cheap pricing when compared to other massager. The Soothing, penetrating massage helps muscles recover faster from overexertion. The product arrives in packaging that reveals what’s inside. You can only work an area of muscle at a time so it can only cover limited range. You will have to adjust the screw holding the knobs each time as it comes with small diameter. The Thera cane massager is a Cane shaped massager for easing aches and pains. It is specially manufactured with the round and smooth contours which feels comfortable in your hands and glides easily on your muscle to relieve pain when applied with deep compression directly on the hard knotted points anywhere on your body. It breaks up tension on each hard knots to relieve the muscle area. The Thera cane massager increases the flow of oxygenated blood by applying pressure on the muscles breaking up the adhesions which makes the muscles work more efficiently just within 15 minutes of usage and you are good to go for the next 6hours of relieve. Press the little nodes to hit the sore spots, it’s like the size of your thumb, and it fits perfectly on a knot or in between the muscles. Then you either move your wrist just slightly or move your body slightly to let the node do its work. You can also place it on a sore muscle and then slide it up the muscle and because it was targeted, it seemed to work faster. It help you discover spots you didn’t even know hurts, working on upper back and shoulder “knots” and sore muscles that you can’t reach. The Thera cane massager comes with owners’ instructional manual which is fully illustrated to guide you on how to use it. You can always do this yourself without needing someone’s help. 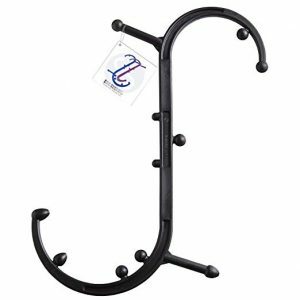 You can hang it in your closet only taking a 1/2 inch of space on the bar. The Body Back Buddy is a self-massage tool made from high quality and high density polyethylene whose performance has remained unchanged virtually for more than 10 years. Back Buddy trigger point therapy self-massage tools contain 11 precisely placed massage knobs that provide relief to every trigger point in the body to reduce the pain. It easily locates and provides relieve to your problems like spasms, along with muscle knots & trigger points. Its specially designed to relief pain whether you are suffering from chronic pain or just looking for stress relief. It’s the best tool for pain management techniques like Myofascial Release and Acupressure Deep Tissue Massage therapy. It dissolves pain, relaxes tension and gets rid of stress just after 10 minutes of usage with a relief period of minimum 8 hours. With the Body Back Buddy, you don’t need to visit the therapist as before since you can now do the massaging yourself. 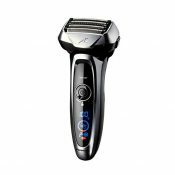 It give 8o% result than a professional massager will do and you have just saved some extra dollars for yourself. Its lightweight, versatile and easy to use for both new users and old users. 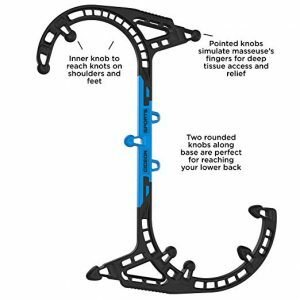 Body Back Buddy black original trigger point therapy self-massage tools is a uniquely designed S-shaped massage tool that uses its 11 perfectly placed therapy knobs to give you easy access to any part your body. Hold the tool comfortably in front of your chest, you can manipulate the S curves to apply as much or as little pressure as you desire to any pressure point on your neck, shoulder and lower back. You will get relieved just after 10 minutes of usage. The package comes with a 12-page instructional manual to help guide your self-treatment. Item can be returned within 30 days if not satisfied and your money will be refunded. It can be used at home, office or in the car. The Q-flex Acupressure comes with an angled Ergonomic design which specially offers a natural hand grip that keeps your arms in a lower, more comfortable position during use. It comes with a unique pear-shaped tip and a flexible core to provide you with an accurate pressure, comfort, safety and an increased blood flow. It’s an acupressure tool specially made for your personal self-treatment to help you relieve tension and stress in parts of your body that are hard to reach. You don’t need anyone to help you massage hard to reach areas of your body like the middle of your back, Q-flex makes it easier. Because of its flexibility, it’s easy for you to apply just the right amount of pressure to sore areas, knotted muscles, and acupressure points especially the middle of your back and lower back. After using the Q-flex regularly, it will increase the blood circulation, balanced body energy and deep relaxation. The knob on the Q-flex is more pointed and it digs deep into the sore spots. It’s just simple and easy. You can place the tip of the Q-Flex directly on any tensed muscles or acupressure points on any part of your body and pull the handle to apply steady pressure at 15-20 second intervals, then release. Repeat the process giving intervals for the duration of 2-3 minutes. It’s lightweight, portable and easy to use. Low pricing when compared to the cost of a massage therapy. The Q-flex Acupressure offers a fraction of the cost of one hour of massage. It uses the recyclable plastic. It makes traveling easy. You can keep it in your carry-on. The product does not affect limited range of motion. The Body back company’s Accumassage is a trigger point self-massage tool specially designed to relieve pains, dissolve hard knots and revive sore muscles in the neck, shoulder and lower back. It’s the best tool for stress management techniques like myofascial release and deep muscle massage. The item comes with an easy instruction manual for your self-treatment. The two inner holes allow the balls to have a wider grip and more force when used. The centerpiece that bends is made from a hard, plastic-like material that bends easily and firmly. It is flexible enough to get the outside of your neck and the back of your neck. There are also extra holes for the balls, to make them closer. You should simply apply pressure to your satisfaction on the AccuMassage using the massage ball placement and handle compression. Make sure you position the massage balls in the center of the AccuMassage and place it over the area that you want to treat, then pull the handles in toward the center. The two massage balls are squeezed to apply pressure on the applied area to release tension and muscle contraction. When you are having the balls on both sides, where you are gentle or aggressive, it pulls the fascia and muscle fibers apart so the muscle can relax. Easy to use! The ultimate self-massage tool! It’s Portable and makes traveling easy. It can be used for massage anytime and anywhere! It works effectively for massaging the neck. It’s perfect to use at home, office and travel. It gives you complete control of the pressure and strength of the massage. The item is not intended to diagnose, treat, cure, or prevent any disease or health condition. The LiBa Back and Neck Massager come with a shape that shows exactly what its being used for. Its specially designed to dissolve muscle knots on trigger points. The curves on the LiBa Back and Neck Massager gives you access to every trigger points on the body which also include hard to reach areas of the body. You are guaranteed a time of unending pleasure during use. You do not need so many nods on this massage tool like other like you have on others since you can use all the therapy on every part of your body starting from the neck to the feet. The curved handle is positioned at the end of the long handle to provide you with a 23.5 inches of length for reaching any part of your body. There could be a little risk of an allergic reaction when you allow a prolonged contact with the skin because of the hypoallergenic material included in the composition of the item. The item comes with an instruction manual for your self-treatment. The LiBa Back and Neck Massager provides you with a natural pain relieve to the muscle areas within few minutes of use. You can apply any amount of strength and pressure to your satisfaction, all you need to do is to control the placement of the nods and the amount of pressure until you have your desired pain relieve experience. The LiBa Back and Neck Massager will help to bring relief to hard knots or sore tissues on trigger points. It increases the blood circulation by applying pressure to the affected muscle area. The pressure stimulate the circulation of more oxygen and nutrients for faster muscle relief and recovery. This self-massage tool can be used on the neck, shoulders, back, torso, thigh/hips, legs and feet. Its weight is less than a pound. It has a perfect size that makes traveling easy. It’s made with eco-friendly materials. It comes with extra knobs. The item can be Replacement or the money refunded if the customer is not satisfied. The Gideon Sports Robust Trigger Point Therapy Massage Stick is specially designed for your self-treatment. 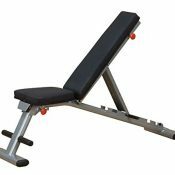 It comes with a unique feature of a double curved structure which help you to self-massage any point on your body effectively without causing any arm and hand fatigue. It effectively massages the neck, back, shoulders, legs, buttocks, and toes. It breaks spasms, instantly relieves periodical or sciatic pain, heal soreness, chronic pain fatigue. It also relieves muscle cramps, sore neck, backaches and many more. It is made from high quality reinforced polyethylene which made it be 5x stronger than any other self-massaging tool you could ever get from the stores. Its firm and you can exert extra pressure to your satisfaction without causing any strain on your hands along with thumbs. 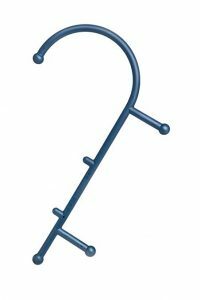 This Point Therapy Massage Stick is specially designed to feature 11 knobs which are strategically positioned on the massage stick to provide you with maximum tissue massaging results. The massage knobs come in pointed & round shapes, which is designed to give you the same result as a massage therapist’s hands would. It provides you the confidence to give you a vigorous and deep quality massage at your own comfort either at home or in the office. You don’t have to worry about the amount of pressure you are applying, it’s extremely durable for longer withstanding any amount of pressure. Its uniquely rectangular shaped frame along with an ergonomically balanced non-slipping surface are designed to give you an easy access to control your massaging experience. The item Include a clear and easy to follow instruction guide to help you in your self-treatment for achieving maximum comfort. 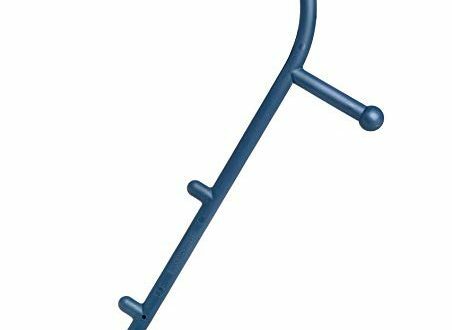 The Gideon Sports Robust Trigger Point Therapy Massage rod is designed to deeply penetrate all muscles & trigger points on any part of your body for any time instant relief from knots &and achy muscles. Just like an expert, it digs deep into the bodies high density and hard to release knots along with different kinds of kinks. You can massage, kneads & squeeze tensions & pain all by yourself. With the Gideon Sports Robust Trigger Therapy Massage Stick you can treat yourself with a perfectly intense massage & get awesome results that are peculiar to you. 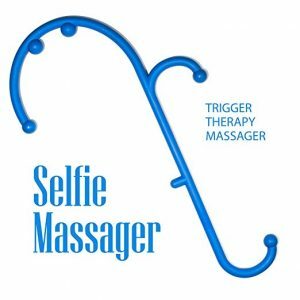 The Gideon Trigger Therapy Self Massage Stick allows you to control all aspect of your self massage treatment for achieving great results. You can control the speed, direction along with the intensity of the item and at the end, you will feel refreshed & rejuvenated just after 5 min of self-treatment. 5X stronger than any other self-massaging tool. Recommended by chiropractors, massage therapists, physiotherapists, and physical therapists. Give the same result just like a therapist’s hands. It can be scratchy and painful when deeply pressed into the skin if you are a small man or woman. The SOLID BACK is made from high quality extra hard EVA foam which made the item soft to touch and do not break down under weight. Solid back is specially designed for effective stretching of the back to provide you with relief and everlasting comfort from back pain. It has Provided Immediate and Long-Term Relief to many of its Customers that had suffered from Back Pain for Years. It is designed to provide a direct alternative to drugs which could later provoke some side effects or surgery that comes with all its complications and pains. SOLID BACK provides relieve from Sciatica and Sciatic Nerve Pain, Chronic Lumbar and Lower Back Pain, Herniated Disc Pain, Spinal Stenosis, Back Stiffness and Bad Posture. 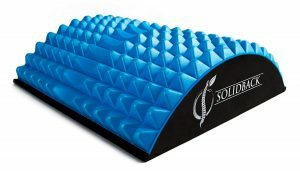 SOLIDBACK is very firm but provides a soothing effect to your lower back and upper back. It is so light and strong at the same time. It’s easy to move from the lower back towards the upper back. It can be used on your shoulders and neck. SOLIDBACK helps you get to those hard to reach areas of your body and it relieves tension and stress in a magical manner. It’s highly recommended for you if you sit all day in the office or bends over to work in the garden. Instant relief and long-term comfort. The item comes with a packaging that reveals the product inside. SOLIDBACK may cause minor discomfort for sensitive people who are new users. Consult a physician to ensure that you are qualified to use this product. The Gideon Full Back Shiatsu Medium Height Massage Pillow Pad is specially designed with fourteen (14) rotating shiatsu massage nodes which produces a mild heat that penetrate right deeply into your back to help loosen tight muscles and release stress,knots and tension in muscles. The Gentle warmth it provides help your get some soothing relieve from pain, aches, tension and knots after stressful day. The rotating shiatsu massage hard knobs are specially designed in 3D. It penetrates right deeply into your muscle fibers just like the hand of a massage therapist would do. It Calms and rejuvenate your body and soul. 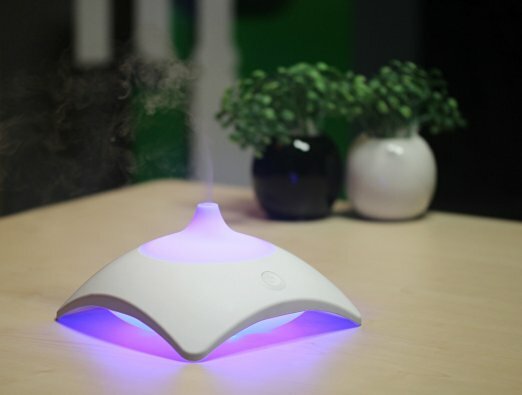 You can use it at home, while sitting at the desk in the office or in the car on travel. 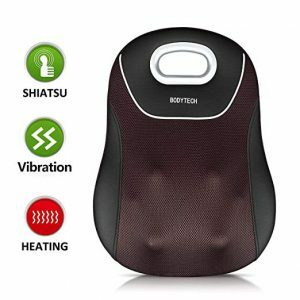 The Gideon Full Back Shiatsu massage pillow pad is ideal to work on your entire back because of its medium height, whether you are sitting in a chair or lying down on a couch or on the bed, its works out the magic just comfortably. You can increase or decrease the intensity of the pillow to your own satisfaction and comfort by pressing hardly or softly against it. It’s easy to use and serve for your convenience. 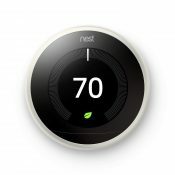 You can also take charge of the control of the heat if you decide to turn it on or off. You can customize your self-massaging experience by turning the heat penetration clockwise and counter clockwise. You can plug it into a Car A/C or D/C outlet. You can decide whether to use the heat feature or not. The Massage Pillow comes with mild heat to loosen tight muscles. It’s convenient to be carried anywhere. It’s convenient and very easy to use. Item comes with No vibrating, and provides a Very Deep massage. 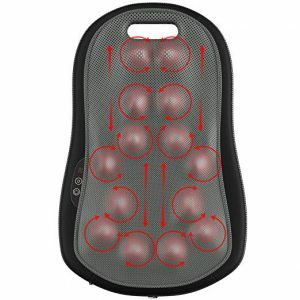 The lower back massage cushion comes with a stretch design for a perfect lumbar relax and pain reliever. You can control how hard you want your cushion to be by pressing either the inflation or deflation button to control the gasbag. Your item undergo a traction process while you either inflate or deflate the gasbag. You can choose to adjust the stretching degree of this item to your satisfaction. 1.5-4inch stretching degree according to your prefer. The Temperature-controlled hot moxibustion, infrared spectroscopy, produced by the product can effectively warm and soothe the sore muscles around the lower back and the waist region. The product comes with a user guide manual. Make sure you read through the manual before you use the product if you are a new user. The lower back massager is ergonomically designed to fit perfectly into the curve shape of your waist. It’s designed to provide you with a great relieve and relaxation around the waist it cushion produces an intelligent air pressure vibration massage to relieve. It’s the best massager for your lower back if you travel or work for long hours. The product provides you with a perfect support while you stretch your waist. The product combines a vibration massage and a hot compression to provide more scientific and professional care for your waist. You can use this product to stretch your lower back in three ways. Adjustable stretching degree of 1.5-4 inches. Heat function of about 40-45celcius. Item shut-off time of 15 minutes. If you would like to use the infrared heat therapy, allow the heat penetration for only 10 minutes after which you should take some rest. You can press the control panel again for another heat cycle. You cannot use the heat therapy for more than 30 minutes a day. Item length, if it can be used for hard to reach areas like the middle of the back. Can I get a refund if am not satisfied with the product? Can I get a replacement if this item gets damaged? Am a new user, does the item come with an instructional manual or a video guide? What is the update on this model that makes it better than the previous model? How soon can this item break, when I apply much pressure on it? Does the product come in an enclosed envelope? I will like to take this product along when traveling, how can I keep it in a luggage carriage. Do I need my partner to come and help with the massaging if I buy this product? 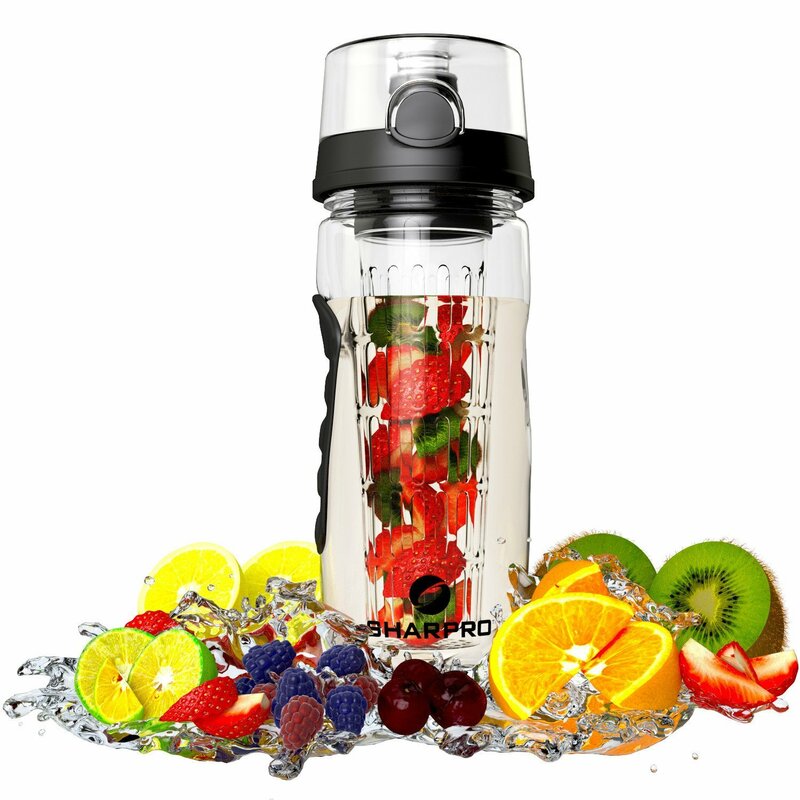 Am a new user, I have never used any model of this product, can I still go ahead to buy it?